Padmavati Engineering was founded in the year 1993 and has secured a preeminent position in the industry by being the most promising manufacturer and supplier firm for Formwork and Industrial Scaffolding. 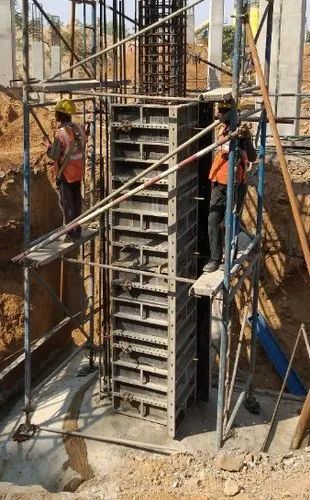 Harvesting the organization’s growth, our expanded product portfolio comprises next generation Formwork System, Formwork Fitting and Formwork Shuttering. The code behind our thriving assets is our profitable product range highlighting strong design, perfect dimensions, user-friendly operation, hassle free maintenance and competing price bands. Due to our client-centric product designs, we enjoyed directing huge resources, which have become feasible due to our certified manufacturing process. Our purpose is to offer innovative products emphasizing exceptional levels of quality and accomplishment. To accomplish the goals, we are encouraging the market perspicacity by building a close connection with our esteemed customers. Further, we strengthened the acquirement of best suited raw materials by developing a total quality management principle in our business relations with industry leading vendors. In extension to this, we have enlarged our product reach and made a groundbreaking achievement in the field due to the vital planning and all modern production facilities supporting the technology and production capability.